Looking for a neighborhood rich with culture, community, an endless array of commuting options, hip bars and eateries? Then it’s time to bump Fort Greene to the top of your list. 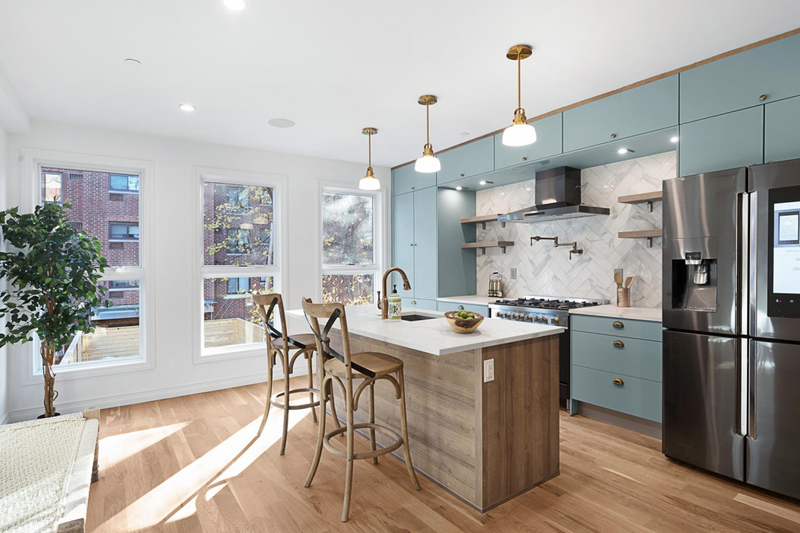 Located one neighborhood over from Brooklyn Heights and just to the east of bustling Flatbush Avenue, Fort Greene enjoys the conveniences of adjacent Downtown Brooklyn while also featuring one of the city’s liveliest historic districts. Fort Greene is home to the Pratt Institute, an internationally-acclaimed higher education institution, which draws many budding artists and designers to the area. The Brooklyn Academy of Music which, in addition to having its own historic district, offers a slew of world class entertainment options on a daily basis. It is also home to Gotham Food Market, a food hall bursting with mouthwatering offerings and, of course, Fort Greene Park, a sprawling oasis of green. 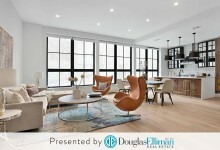 “It’s one of the most economically and culturally diverse neighborhoods in Brooklyn,” says Sarah Zelermyer-Diaz, a Licensed Associate Real Estate Broker and co-leader of Douglas Elliman’s Sarah Zelermyer-Diaz and Marc Karavasian Team. Read on for seven more reasons to invest in Fort Greene. You may be surprised to learn that the area enjoys access to nearly every train line except the L – although, it’s hard to argue that’ll be a bad thing come next year’s L-train shutdown. The G, A and C trains all make stops in the heart of Fort Greene, while the 2, 3, 4, 5, D, N, Q, R and W as well as the LIRR are all accessible from multiple stations on the edge of Fort Greene's perimeter, at Atlantic Avenue Barclays Center Station and then separately at DeKalb Avenue and Nevins Street. 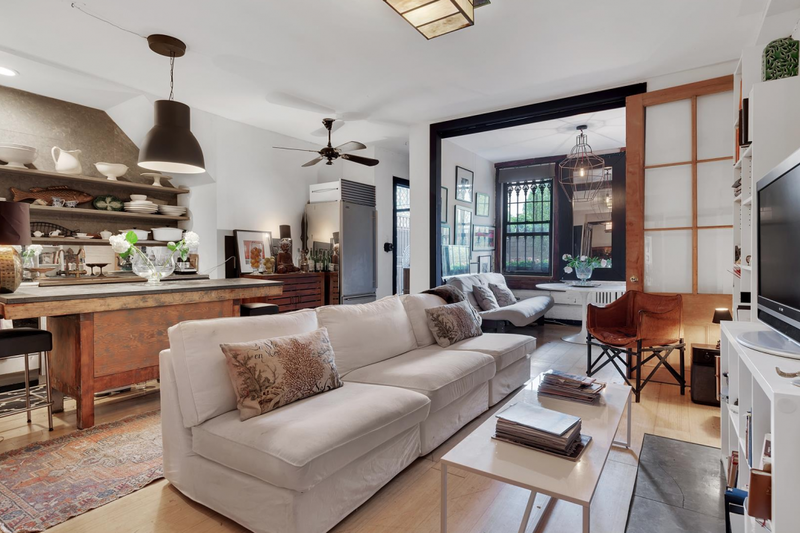 "Transportation is centralized around the Barclays Center, where there are 9 MTA lines as well as the LIRR," Douglas Elliman Licensed Real Estate Salesperson Eric Volpe puts it, adding, "The A, C, and G trains fill in the gaps across the rest of Fort Greene." In terms of time, “It takes 15 minutes to go to Downtown Manhattan and 30 minutes to Midtown,” Zelermyer-Diaz estimates. And more diverse public transit is soon to come. "Later this year we are also expecting a new ferry stop in the Navy Yard, which will be a big deal. If the light rail happens, that will also really change Fort Greene’s transportation options," says Volpe. Once the service starts up, the ferry will be a quick walk under the BQE for most Fort Greene residents. Being in the brownstone belt, Fort Greene is home to a number of historic unicorn properties impossible to find elsewhere, and thus priced at a premium. Still, though, there are definitely bargains to be found, among both new construction and protected early 20th and 19th century properties. 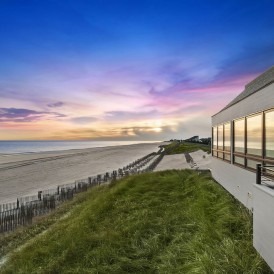 These prices are far lower than many of those in Manhattan. “You can expect to spend hundreds of thousands less for a comparable apartment in Fort Greene, and potentially save millions on a townhouse,” Zelermyer-Diaz says. Despite its comparative affordability, Fort Greene has experienced a positive incline of property values like the rest of historic Brooklyn. “Property values in Fort Greene have been rising for years,” says Zelermyer-Diaz, who sees no reason that trend won’t continue. Volpe explains that property values surged around the time that the Barclays Center opened, and continue to experience similar jumps as large development sites are completed. The Navy Yard, locally regarded as its own separate neighborhood, is a fenced community of artisan crafters and industrial manufacturers on the other side of Flushing Avenue from Fort Greene. 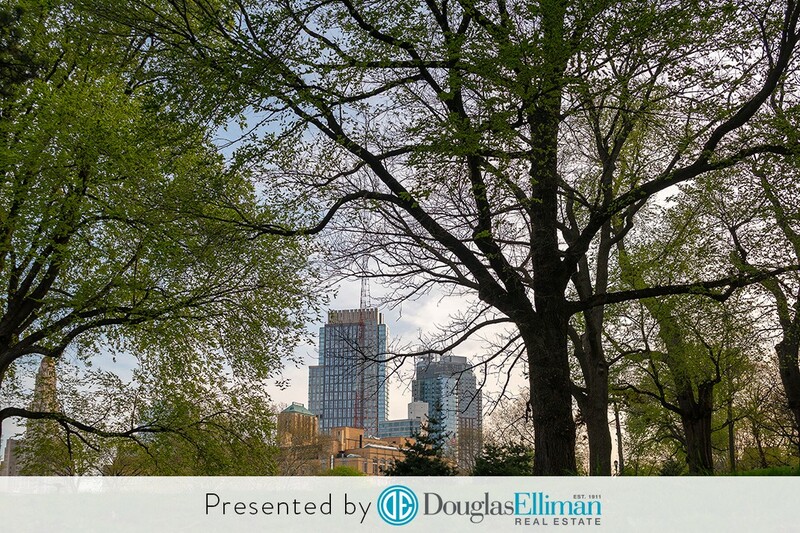 Douglas Elliman Licensed Real Estate Agent Jerry Minsky notes Fort Greene’s various charter schools, among other factors, make it a hot destination for young families. Designated in 1978, the Fort Greene Historic District comprises a significant swath of the neighborhood and is immediately adjacent to the Clinton Hill Historic District. There are many stately former mansions and extra-wide properties in this stretch, plenty with the kinds of stunning original intricacies, fretwork, cast iron stoves and the like usually reserved for films about the wealthiest socialites of the 19th and 18th centuries. 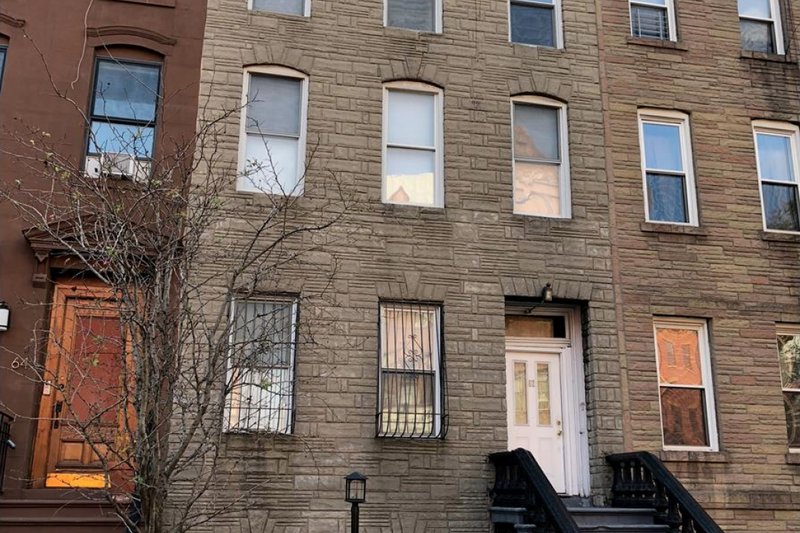 In addition to the historic residential stunners there are also a number of landmarked monuments, schools, and of course churches which pepper Fort Greene and make a walk along its tree-lined streets even more lovely. The Brooklyn Academy of Music also has its own separate historic district. 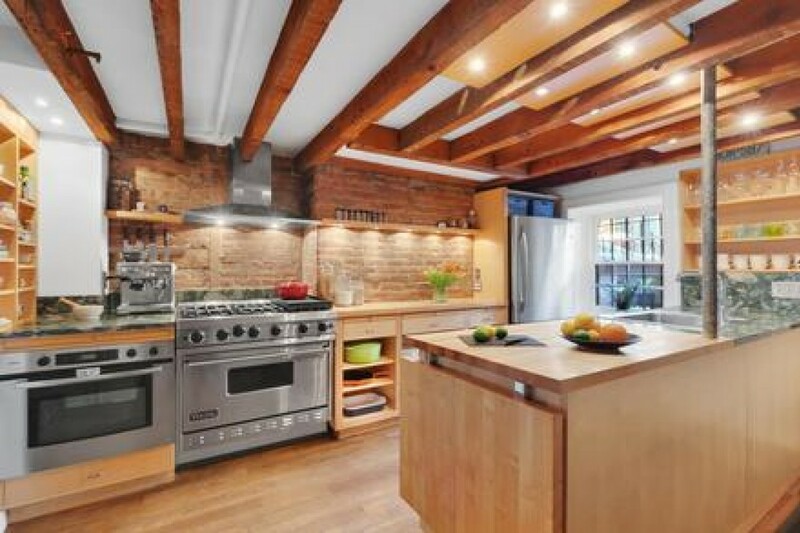 “With a historic district much like that of Brooklyn Heights, Boerum Hill, and Cobble Hill, there are tons of amazing 19th century brownstones that sit on beautiful tree-lined streets,” says Jerry Minsky. In addition to a wide architectural array of home styles, from blocks of Italianate brownstones to Greek Revivals and Neo-Georgian properties, Fort Greene also boasts a great diversity of housing types. "The streets of Fort Greene are lined with many large, stately single or multi-family brownstones and, to a lesser extent, a mix of both pre-war and post-war co-ops and condos,” says Karavasian, adding, "Fort Greene is a particularly great location for buyers who are coming to Brooklyn for the first time, as well as those who need a quick commute to lower or Midtown Manhattan but can’t afford Brooklyn Heights." 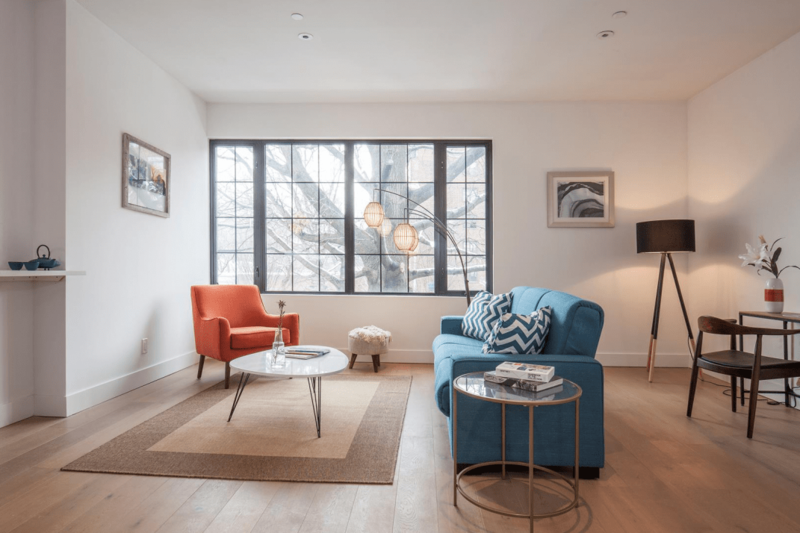 With a similar feel to the West Village, many folks who live in the West Village purchase their second or third home in Fort Greene. “People looking to buy in Fort Greene tend to prioritize pre-war building aesthetics, a sense of community, and variety of places to shop and eat,” says Volpe. “People come to Fort Greene from around the city. Aside from new attractions, historic tours celebrate the gorgeous mansions and remember the heritage of the people who built and inhabited them. Looking for a date spot before a show at BAM? Or a quick bite on the way to work? Fort Greene is your oyster, with eateries dotting the residential strips and commercial corridors alike. The food and drink scene in Fort Greene is quaint and neighborly but varied, with adorable cafes like Hungry Ghost and Bittersweet as well as Greene Grape Annex, a favorite spot among freelancers. Habana Outpost's outdoor space is beloved and a must in the summer, and other eateries like Olea, Black Forest, and The Smoke Joint offer a wide array of eats. “Stalwarts like La Caye, Prospect, Bati, and Walters all contribute to a diverse dining experience reflective of the neighborhood’s sophisticated tastes,” says Karavasian. Myrtle Avenue is a haven for shoppers who enjoy unique and independent retailers. Thanks significantly to the area’s extremely engaged Business Improvement District, Fort Greene’s local businesses are thriving. “The abundance of mom and pop shops, and the loyal residents who frequent them, gives Fort Greene a certain charm that you can’t get walking down an avenue in Manhattan,” says Volpe. Bookstores like Greenlight and the other independent shops in the area have many locals’ loyalty, but the big name stores at Atlantic Center include Target, Old Navy, and Victoria’s Secret and are also within the neighborhood’s bounds. A brand new Apple Store and Whole Foods Market 365 also both recently opened in the area. A thriving area where residents enjoy quality of life and the best Brooklyn and New York has to offer, Fort Greene is a special place to call home. 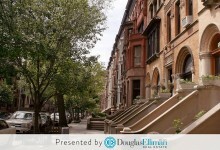 Ready to browse listings in Fort Greene? 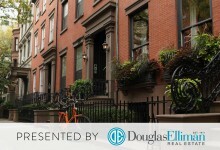 Search online here or call 718.715.7000 to speak to an agent in Douglas Elliman’s Fort Greene office.